Waterwood is a lovely, quaint community located in Huntsville, Texas. 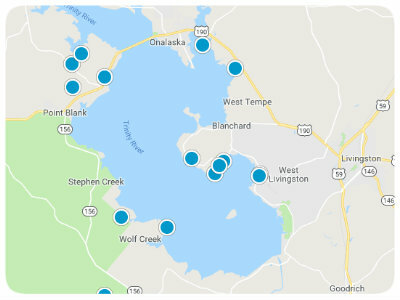 This San Jacinto County neighborhood is a beautiful subdivision of Lake Livingston, which provides local homeowners with unending hours of boating, water skiing, and fishing. Nearby, restaurants, both local and chain, are available to residents as well as museums, schools, shopping, parks, and trails. 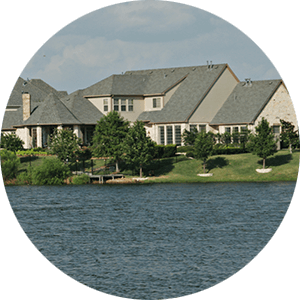 Waterwood, Texas homes for sale provide prospective homebuyers with incredible options from which to choose. 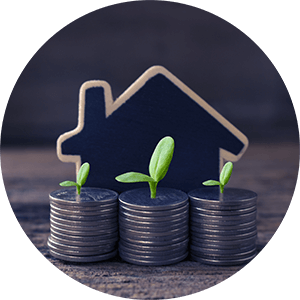 Houses with ideal, open floor plans of three bedrooms and over 2,000 square feet of living space are excellent places to call home for those just starting out as well as for folks who are edging into retirement. 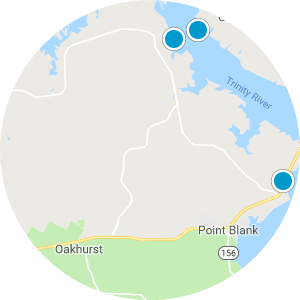 Waterfront homes for sale in Waterwood are discoverable as well as homes deep in the Piney Woods, surrounded by towering trees. Land for sale in Waterwood is available if visionaries are looking to erect the house of their dreams. Living in this community allows residents to feel close to everyday necessities while living a private, quiet life with unmatched views. If you are interested in purchasing Waterwood real estate in Texas, please contact us today. Two bedroom, one bath home located in Waterwood Subdivision. Living room with fireplace, flex room, fenced backyard, and 10x10 screened in porch. Country living at its finest, almost 1/4 of an acre wooded. Ready to build your dream home on. Low HOA with MUD tax. Come take a look today. Beautiful Golf Course Frontage Lot with over 100 feet of Golf Course Frontage. Sweeping views toward the 16th Tee and Green.